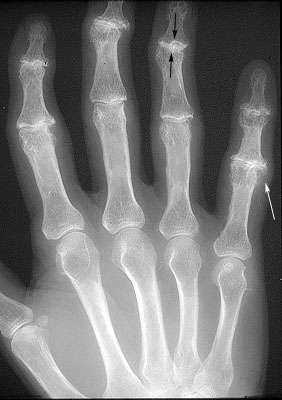 This is an image of DJD or OA of the finger joints. Note the narrowing of the joint spaces and the increased density around the joints due to the subchondral sclerosis (black arrows). There are also a few osteophytes (white arrow).